Описание: Серия обучающих пособий для студентов колледжей и университетов, которым необходим английский язык в рамках различных специализаций. Каждый учебник рассчитан на уровень Pre-Intermediate. Десять 6-страничных уроков предоставляют широкий спектр упражнений для улучшения обучения студентов. Они охватывают четыре умения слушать, читать, говорить и писать, а также грамматику, лексику и произношение. Широкий спектр тем знакомит студентов с наиболее важными и интересными областями обучения. Курс учит навыкам, которые студенты могут использовать как в своей более широкой учебе, так и в будущей карьере. The Garnet Moving into ESAP - discipline-specific English courses for Pre-Intermediate students. Moving into Tourism and Hospitality - is a course for college and university students who need English for their continuing education. It caters for pre-intermediate learners who want to study more effectively and to prepare for a career in tourism or hospitality. It combines carefully controlled development of English-language skills with coverage of key aspects of tourism and hospitality. Moving into Science - is a course for college and university students who need English for their continuing education. 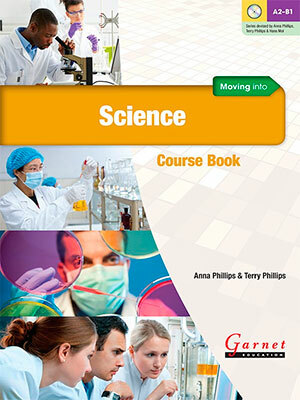 It caters for pre-intermediate learners who want to study more effectively and to prepare for a career in science. It combines carefully controlled development of English-language skills with coverage of key aspects of science. Moving into Mechanical Engineering - is a course for college and university students who need English for their continuing education. It caters for pre-intermediate learners who want to study more effectively and to prepare for a career in mechanical engineering. It combines carefully controlled development of English-language skills with coverage of key aspects of mechanical engineering. Moving into Healthcare and Nursing - is a course for college and university students who need English for their continuing education. It caters for pre-intermediate learners who want to study more effectively and to prepare for a career in healthcare/nursing. It combines carefully controlled development of English-language skills with coverage of key aspects of nursing and healthcare. 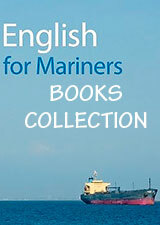 • Transcripts at the back of the book provide complete reference for all the audio recordings.